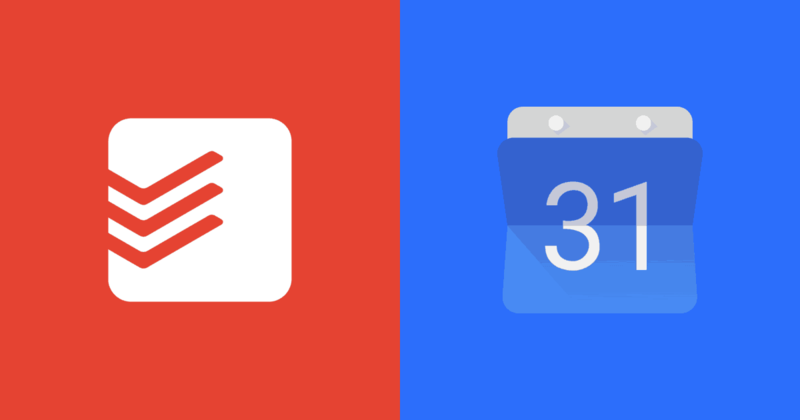 Todoist has recently revealed its own integration feature to Google Calendar. This is the feature that I longed for from Todoist. Looking your tasks and calendar schedules in one place is really helpful to plan the day ahead. The ‘eagle-eye’ view improves your ability to visualize, organize and plan your tasks. So far I used the ‘calendar feed’ of my tasks by Todoist. The connection is one way. Whatever changes made in Todoist reflected in Google Calendar. But the reverse doesn’t work, as it is a ‘read-only’ calendar. So far I used the ‘calendar feed’ of my tasks by Todoist. The connection is one way. Whatever changes made in Todoist reflected in Google Calendar. But the reverse doesn’t work, as it is a ‘read-only’ calendar. Todoist now made that two-way integration possible within their own system i.e. the integration is direct, not through IFTTT or any automation service. After integrating through this new option I unsubscribed my Todoist Calendar feed in Google Calendar settings. What’s this ‘2-way’ sync can do? With this, the changes you make to Todoist tasks inside Google Calendar will be updated back to Todoist. For me, it is really easy to organize the day within Google Calendar. I use Google calendar to make sure that any of my schedules won’t disturb my planned tasks or vice versa. The integration offers few fine options to choose. Like where the new tasks will be added in Todoist if the task is added from Google Calendar, what will be the default duration of a task, etc.